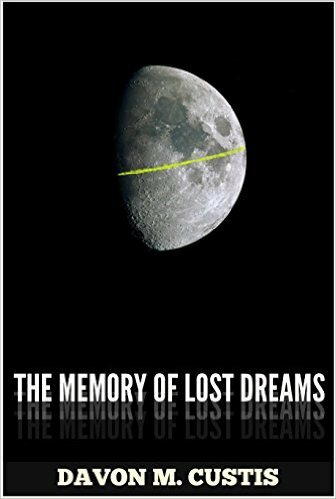 I was provided a free copy of The Memory of Lost Dreams in exchange for an honest review through Goodreads. It's the first work I've read by Davon M Custis but I don't plan for it to be the last! Here's my review. Every book can be a first chance for a reader to encounter an author's work – and so it is hugely important for a writer to make sure the story is at its best. Get it right, and you may have a fan for life in the new reader. Get it wrong, and they may snub the rest of your work. The Memory of Lost Dreams has a promising premise. A naive young man from a rural community in a distant future stumbles upon the remnants of the pre-apocalyptic civilisation of Imperia when he discovers a functioning computer device in the ruins of a library. Malik finds himself flung back through time to the fascist days of that culture of Amerika, locked in battle with the rival nation of Themisia. A faceless, almost nameless opponent. Them. Seemingly existing only so that citizens can be told there is an outside threat that justifies their repression. In essence, the story plays out as if Gulliver's Travels took him to Orwell's 1984, by way of a mind-warping trip through Harlan Ellison's back catalogue. Malik finds himself drifting between factions in this trip through his past, shifting by decades as time slips around him. As he tries to grasp who or what is guiding him, he finds his own life hangs in the balance and he must choose sides to ensure his own future. In terms of ideas, Davon Custis has a lot going on here. It's in terms of execution that this book is under-served. It is desperately in need of a thorough edit – there are far too many errors and typos that even a cursory proofreading edit would have picked up. It could have done with a full developmental edit too – there's foreshadowing that goes nowhere, for too long the lead character merely drifts as a passive observer without any feeling of who they are and why things matter to them, and progress happens too often with something happening “suddenly” or “Then...”. Things seem to happen because the author needs them to, not because of any impetus from the character. These are the kinds of things that can alienate a reader and they just get in the way of letting the story shine. This feels like a good book in progress that needed an extra couple of drafts. I like the ideas that Custis has to offer, but this diamond remains resolutely unpolished. The Memory of Lost Dreams is available on Amazon here.